No doubt that all eyes are on Gilas Pilipinas as everyone is still hyped that the Philippines won against South Korea last night and finally made it for the qualifying round of FIBA Asia after three decades long despite losing to Iran tonight. But here’s a little commercial break from a Gilas Pilipinas flooded Facebook wall: The Voice of the Philippines Battle Round 5 results. Maki, who had sessions playing for Southborder, is performing as a singer this time. And so goes another “I knew it!” moment. Emmanuelle is pretty but Jessica possesses a stunning black beauty look. None of them stood out but the coach still has to pick between the two right? Now that is an unbiased choice! Too bad, we say goodbye to Kundiman singer Juvie. 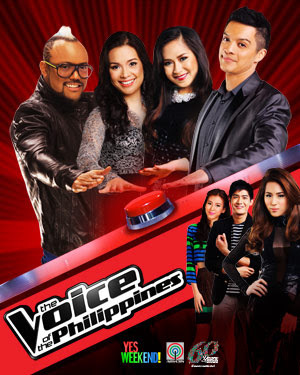 Drop by this page to see who are still in and who are already out - thevoice.abs-cbn.com/artists.html . Artists in black and white have been eliminated while those in color have been either retained or have not performed for the battle rounds yet. One more round to go before the live shows begin!